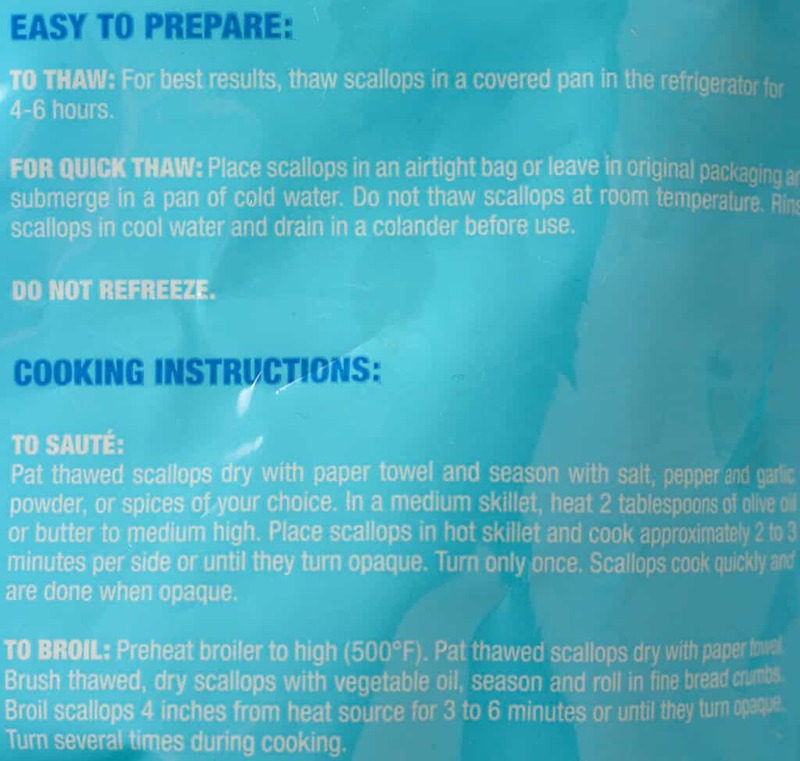 The pros: Trader Joe’s Jumbo Sea Scallops are found on the freezer section and are individually quick frozen. This bag can be resealed so you won’t have to cook the entire bag. The cons: Expensive, but good seafood should not be cheap. The verdict: Spring has finally come around here in New York. It’s nearly the end of April and I can finally believe that my winter coat can go away. One of the things I like most about the warmer weather is the lighter fare that comes with the season. The BBQ might be uncovered and cleaned up in the near future. But for now, I’ll grill the contents of this bag indoors. The nice thing about scallops is that they are quick to cook making them ideal for warmer weather ahead. If you are saying to yourself “I don’t have a grill,” then fear not, a cast iron pan or broiler will work. Yes, your broiler is essentially an upside down BBQ grill. Now, good seafood comes at a price. 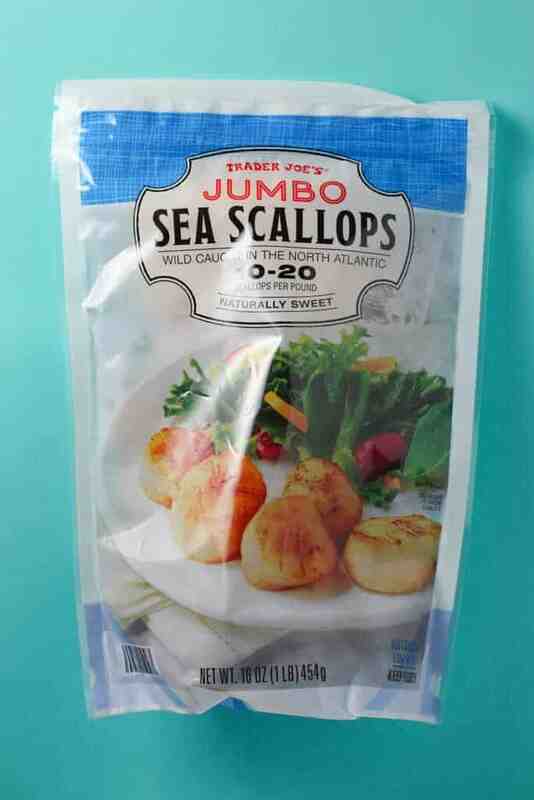 This bag of jumbo scallops is priced at $17.99. They are frozen individually so you can remove the ones you need from the bag. All of the scallops were a good size and most importantly smelled like the ocean once defrosted. I opted to saute mine with a bit of butter. If you watch the color along the sides, you will get a sense of how done they are. Odds are you’ve had a rubbery scallop. That might be due to how someone prepares these. There is a fine line between done and overcooked. So keep an eye on how opaque they are turning on the sides as an indication. Overall, mine were really good. They were just about on the same level as my local seafood shop, so I would not mind keeping these on hand. Four makes a serving here, but at 100 calories per serving you can probably afford to have more than four. While not cheap, the quality is here. And yes, it is something I would absolutely consider keeping around. Would I buy this again? Yes, I would buy Trader Joe’s Jumbo Sea Scallops again. They made for a light and easy dinner. Hi…what fun, I just purchased and prepared these scallops the same way last weekend and completely agree with your post. Also, want to share I enjoy your site as a resource and for new ideas. Please keep it up! Hey Beth! Thanks so much for stopping by and sharing your kind words. If there is anything you want to see that I haven’t already posted, please let me know and I’ll try to get around to it. Do you know if these are dry or wet scallops? I’ve never had good luck with them, probably because I’ve overcooked them. I’ve read that dry are best. I hope that answers at least some of your question! Thank you for your answer, Betty. I think they are probably dry since there isn’t another ingredient listed. I’ll get in touch with TJ’s and will let you know. Betty – I just heard back from T.J.’s customer service and the scallops are dry and do not have any added phosphates. I’ve read that dry are superior to wet and am not surprised that T.J.’s sells the best. Betty – I was already a big fan of your blog and your opinions on TJ’s products. However, I have to tell you that I am now a 100% convert to scallops! I’ve never really enjoyed them and was intimidated about cooking them – undercooking vs. overcooking. I couldn’t find the fresh scallops at my TJ’s but bought the frozen and followed your instructions. They’re divine! 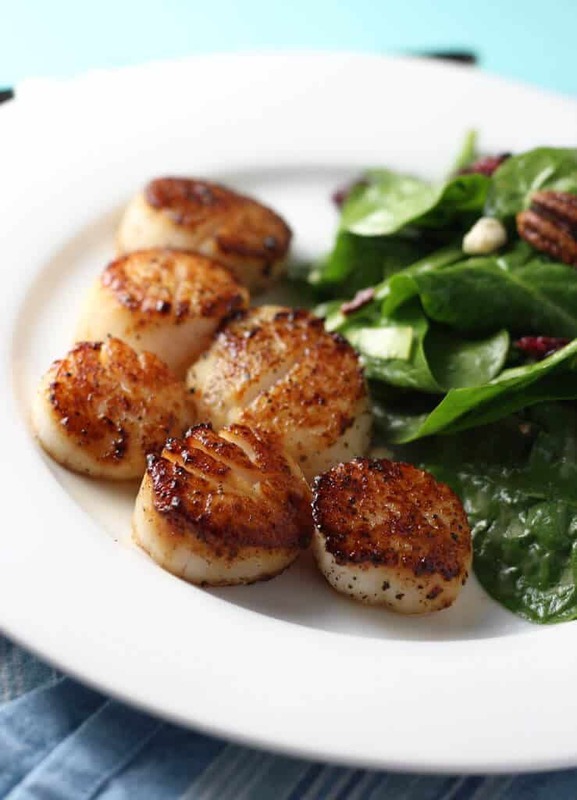 The scallops are delicious and the browned butter and lemon juice enhance the flavor beautifully. Thank you for the recommendation, your critiques, and cooking instructions! Yea! Love them. Hey Beth! I was the same way until I took some cooking classes and realized that cooking seafood wasn’t nearly as hard as I thought. As always the key is just knowing how long to cook. I’m so glad you enjoyed them. There are so many ways and flavor pairings. Glad I could help! Can’t wait to hear about all about your future flavor pairings! Thanks so much for stopping by. You comment meant a lot to me. Tried several times and pan cook after defrost in fridge . Garlic white wine butter and cream . As close as getting st fish market or off the boat. These are real deal and big too. On West Coast There’s diver Scallops that are small not as good. These should be the $17:00 they are and your not making every day and cheaper than eating out. Recommend if your Seafood lover.